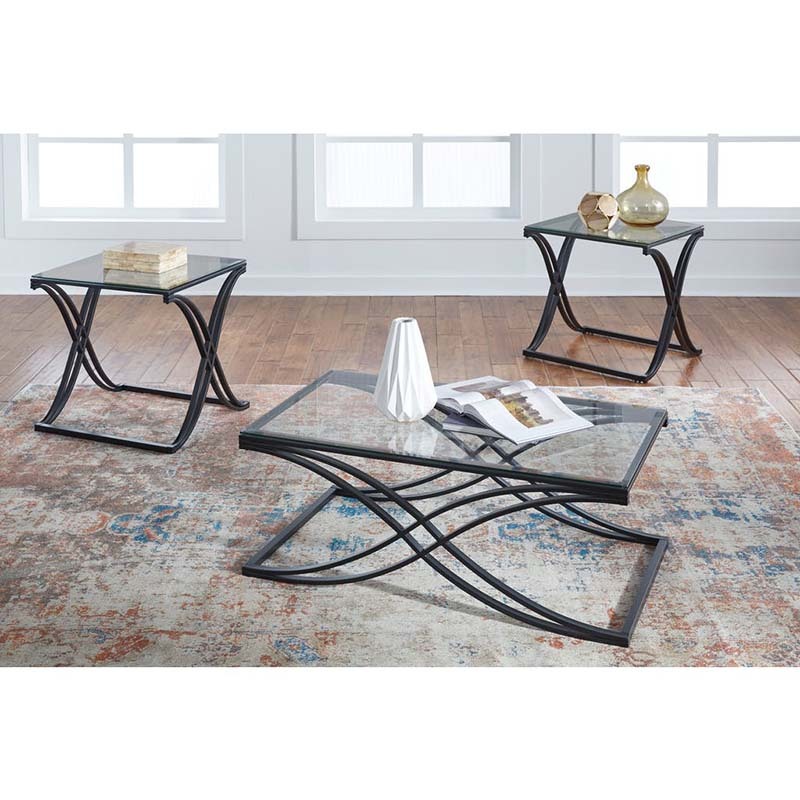 Carefree and contemporary in style, the Ashley Jandor 3-Piece Table Set will add an airy feel to your family room. Its double X-frame design was crafted using a tubular metal and each table is topped with clear glass. Set includes 2 end tables and 1 coffee table.